Zimmerman is a founding editor of the Journal of Accounting and Economics. He was also a distinguished faculty member of the American Accounting Association’s Doctoral Consortium, and a visiting professor at Chinese University of Hong Kong, Hong Kong University of Science and Technology, Hong Kong University, and Hong Kong Polytechnic University. He is on the board of directors of IEC Electronics and on the company’s audit and compensation committees. Professor Zimmerman’s research and teaching interests involve financial and managerial accounting. In 2004, he and Professor Ross L. Watts (at M.I.T.) received the American Accounting Association Seminal Contribution to the Accounting Literature Award, the most prestigious research award in the field of accounting. They received the American Institute of Certified Public Accountants Award in 1979 and 1980 for their joint papers. 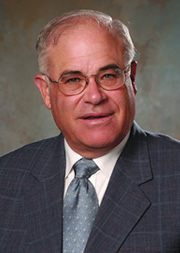 Zimmerman was the 1978 winner of the Competitive Manuscript Award, sponsored by the American Accounting As­so­ciation, for his paper, “The Costs and Benefits of Cost Allocation.” The Watts/Zimmerman research, which has come to be called “positive theories of accounting,” seeks to understand the costs and benefits of various accounting procedures. He and Watts co-authored a book, Positive Accounting Theory, published by Prentice-Hall in 1986. Zimmerman’s current research includes: “Asym­­metric Sensitivity of C.E.O. Cash Compensation to Stock Returns,” with Andrew J. Leone and Joanna Shuang Wu (Journal of Accounting and Economics); “Unintended Consequences of Granting Small Firms Exemptions from Securities Regulation: Evidence from the Sarbanes-Oxley Act,” with Feng Gao and Joanna Shuang Wu (Journal of Accounting Research); and “The Joint Effects of Materiality Thresholds and Voluntary Disclosure Incentives on Firms’ Disclosure Decisions,” with Shane Heitzman and Charles Wasley (Journal of Accounting and Economics 2008 Conference). Journal/Publisher/Proceedings Publisher: Journal of Law, Finance, and Accounting.